The South Carolina Democratic Women’s Council is honored to invite you to our Annual Breakfast held prior to the start of the South Carolina Democratic Party Convention. During this years breakfast we will hear from state party leaders and candidates running for party offices. Also, we will have speakers that include Presidential candidates or surrogates. We will conclude the morning with the 2015 Hall of Fame presentation. We encourage you to register early for the breakfast. 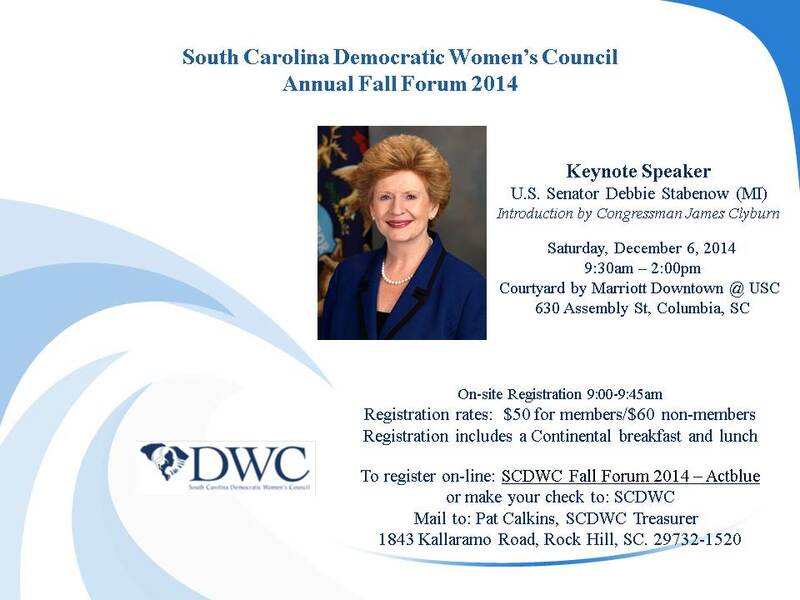 To pay by check: 2015 SCDWC Breakfast Registration Form complete and mail per form instructions. We look forward to seeing you on Saturday, April 25th.